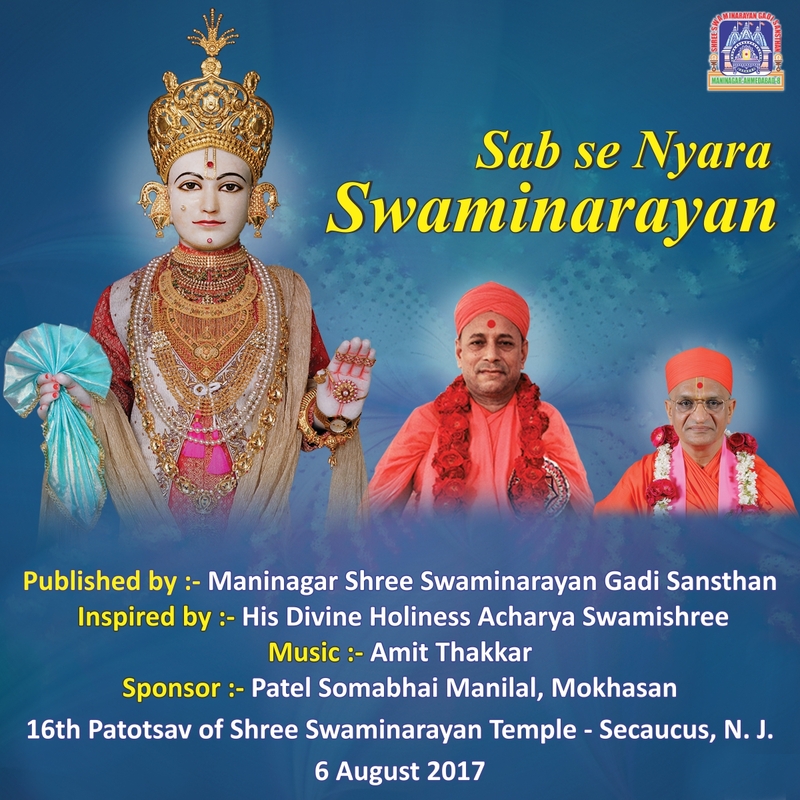 This compilation of devotional songs composed by Shri Amit Thakkar was released on the 16th anniversary of Shree Swaminarayan Temple, Secaucus, New Jersey. These celebrations also marked 30 years since Acharya Swamishree Maharaj’s first visit (vicharan) in North America as Acharya of Shree Swaminarayan Gadi. Furthermore, they formed a facet of the Sadbhav Amrut Parva, the worldwide celebrations of Acharya Swamishree Maharaj’s 75th year.